The Royals Slots | Win the Massive Progressive Jackpot! Join the Royal family for a quirky camping adventure & play The Royals slots! Spin the reels for your chance to win the exciting Royal Jackpot! The Royals Go Camping slots is a cute and quirky slot game loaded with wilds, bonuses, multipliers, and FREE spins! 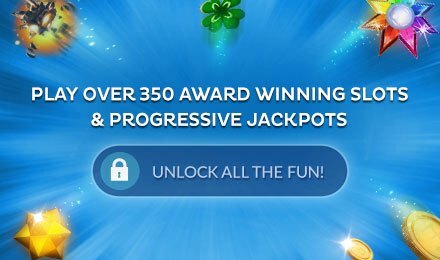 This 30 payline progressive jackpot game is hugely entertaining and fun to play! Go camping with your favourite royals including the Queen, Prince Charles, William, Kate, and Harry! The massive progressive jackpot in this game is called the Royal Jackpot and you can see it growing as you play! Trigger the Pick Me bonus game with the Raven on a Crown Wild symbol and pick a symbol to reveal an amazing prize! 3 Golden Crown Bonus symbols trigger the Bonus round where you’ll try to find the Queens purse to win additional Bonus cash!